New UC San Francisco research finds that although young male songbirds are genetically predisposed to sound like their fathers, enriched early experience with a foster-father can overcome this genetic destiny. This finding has striking implications for our thinking about how experience influences the genetics of complex human traits like learning ability or even psychiatric disease, the authors say. 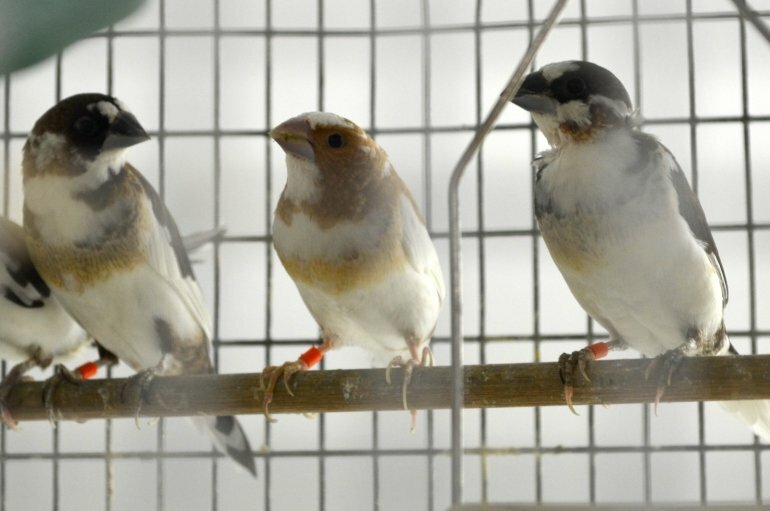 Neuroscientists like UCSF’s Michael Brainard, Ph.D., have long studied songbirds like the Bengalese finch (Lonchura striata domestica) as a model of how complex behaviors like human language are shaped by early experience. Like human language, a male finch’s unique mating song is learned early in life by listening to and mimicking adult “tutors.” In nature, this is usually the bird’s father, but young birds raised by unrelated adults in the lab will learn to sing their foster-father’s song instead. Now Brainard’s lab has shown that not all early experiences are equal in their influence over impressionable young birds: exposed only to a computerized “synthetic tutor,” young birds will revert to singing like a biological father they’ve never known or heard. The research—published the week of December 25, 2017 in PNAS—suggests that finch song has a stronger genetic component than had previously been realized, but also that this genetic drive can be suppressed by the right kind of early life experience. “What we saw is that the genetic contribution to a bird’s song depends on the specifics of that bird’s experience. This is a striking demonstration that heritability for complex behaviors like birdsong is not fixed, as is often assumed, but instead can vary dramatically depending on the experience of an individual,” said Brainard, a professor of physiology and of psychiatry at UCSF, Howard Hughes Medical Institute investigator, and member of the UCSF Weill Institute for Neurosciences. As noted, researchers have long considered the structure of adult birdsong to be dominated by the influence of whatever song a bird hears as a chick. 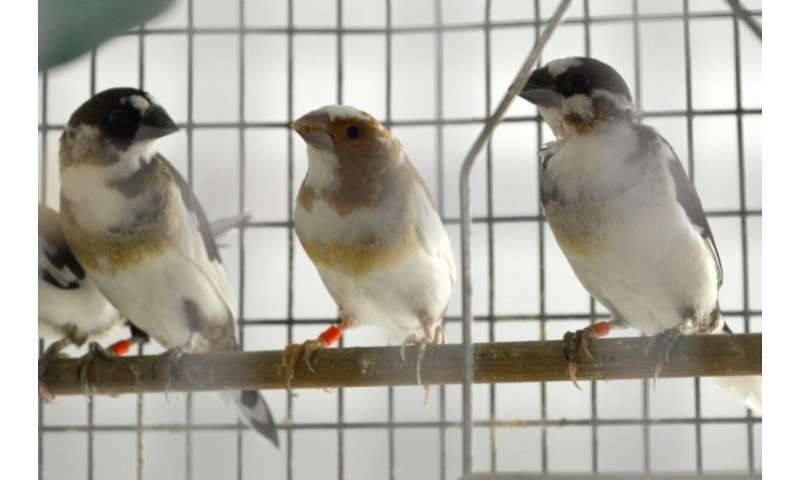 However, David Mets, Ph.D., a postdoctoral scholar in the Brainard lab and the new paper’s first author, noticed a surprising amount of variation between the songs of individual Bengalese finches in the lab, even when all birds were exposed to the same experimentally controlled tutor song early in life. To determine whether these differences might be caused by a previously overlooked genetic contribution to the birds’ song, Mets developed a careful set of experiments to control the contribution of genetics and experience. He removed eggs from their nests shortly after they were laid to ensure chicks never heard their fathers’ song, even in the egg. He then exposed the hatchlings only to carefully controlled computer-generated songs, which he varied in tempo in an attempt to influence the tempo of the song the young birds would learn. To the researchers’ surprise, they found that these birds largely ignored the tempo of the synthetic songs, and developed adult songs with tempos much closer to their fathers’ songs—which they had never heard. The researchers quantified this observation, showing that 55 percent of variability in the experimental birds’ songs could be explained by differences in their fathers’ songs, but only 21 percent was driven by differences in the synthetic song they heard as chicks. In a second set of experiments, Mets got rid of the synthetic tutor and instead exposed finch chicks—which also had never heard their fathers’ songs—to unrelated live adult males. The researchers were again surprised to discover a complete reversal of the results seen with synthetic tutoring: the live tutor’s song contributed 53 percent to the tempo of the young birds’ adult songs, with differences in their fathers’ songs contributing only 16 percent. The findings raise the possibility that human genetic studies that fail to account for differences in individuals’ experience could be producing misleading conclusions about the genetic contributions to complex behaviors, Brainard said. This entry was posted in 2017, International and tagged behavioural ecology, bird vocalization, research on 29 Dec, 2017 by Birdlife20 owner.